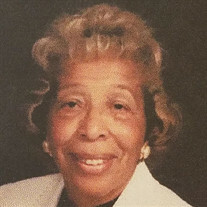 Mrs. Anderson peacefully made her transition on December 31, 2017 (New Year's Eve) in Detroit, Michigan. Please feel free to leave your condolences for the family on our online Tribute Wall for your loved one. The family of Nannie Ellis Anderson created this Life Tributes page to make it easy to share your memories.